When I was 16 years old, I decided to volunteer in a nursing home. I remember feeling upset with this woman’s family for neglecting her. I vowed then to always care for my mother, especially as she would need the support once my brother and I reached adulthood and pursued our respective paths away from home. Well, that was 12 years ago and a lot of my childish naiveté has faded. Don’t get me wrong - I love my mother and care very much for her well-being, but I have professional and personal duties to which I am committed that make it difficult for me to actively attend to her needs. For instance, when she calls to complain about the neighbor who stole her planter, I am too preoccupied with completing my medical school applications to be sympathetic. When a three-day weekend rolls around, I make plans to bike across the Golden Gate Bridge with my out-of-town friends while my mother sits at home 300 miles away wondering why I haven’t sent her my travel itinerary for Labor Day weekend. I’m a young professional leading a vibrant life in one of the best cities in the world – so what if I’m a little too busy to visit my lonely mother? Well, China is hoping to teach people like me a thing or two about taking their aging parents for granted. In China, what used to be a filial duty may soon become a legal duty. As of January this year, the country’s current elder law, called the Law of the People's Republic of China on Protection of the Rights and Interests of the Elderly, underwent a draft amendment that would require adult children to care for the social and spiritual needs of their elderly parents. That means not visiting one’s elderly parents, who may legally claim their right to receive physical and social care from their children, may be punishable in a court of law. With global news of elder abuse and neglect in institutionalized settings on the rise, China is, perhaps, taking steps to delay institutionalization of elders who may have family to care for them. This in turn could decrease the rate of premature deaths of elders who are grossly neglected in nursing homes. Did anybody hear about the 89-year-old Australian nursing home resident who was strapped to a toilet seat for two hours and left to die? I’m not insinuating that all nursing homes or assisted living facilities are bad. I’m not even implying that all children who admit their elderly parents into these institutions are neglectful (heck, I’m in no position to judge because I haven’t exactly been Daughter of the Year material). I’m just saying that China may be on to something here. I mean, social support could ward off depression in elders, which could protect against cognitive decline, which could prevent or delay nursing home admissions, right? Although I acknowledge that court-mandated visits with elderly parents may be more feasible in a country that supports a traditional culture of revering one’s elders and caring for one’s parents, I think other countries would do well to take encouragement from China’s elder laws. Well, for what it’s worth I’m not waiting for a court order to visit my mother. In fact, I'm planning to make a trip down to southern California to see her for the Veteran’s Day weekend…better late than too late…or never. Interesting Julie. The issue centers on the question "what do adult children owe their aging parents?" I think in this country, with the emphasis on independence, there would be tremendous pushback from elderly patients and their adult children for such a law. There is little consensus that adult children owe their parents anything. Still, there may be a way to encourage a greater ethic of caring. The carrot may be more effective than the stick. Family caregivers should be compensated financially. They save the system millions, and probably billions, of dollars a year in costs. Unfortunately one can not legislate morality, even though we keep trying. Also, could you care for your aging parent with all the other responsibilities of living? Our culture does not place an emphasis on the importance of relationships. Home life is secondary to work life. We have the Family Leave Act, but it is unpaid time off. We have the shortest for births and deaths ( I worked for a spiritually based medical care system and they only allowed 3 days off for bereavement and that was only for an immediate family member). So until family and relationships become a priority in our culture, it will be very difficult to care for aging or sick family members the way China is trying to legislate. It would work in a system where there is a community support network to support the time to care for the elderly. I have thought about this often in the past. What do we owe a parent who who was less than a good parent or even a mediocore one. I belong to a cohort whose father was phyiscally and emotionally abusive to my mother, brother, and myself (to the point of attempting to kill me one time). I had not seen or heard from him in 9 years when he died. It is 45 years later and I still have the occassional nightmare. To say that I would have a filial duty to him is obscene. Unfortunately there are many Americans in this unfortunate group. I want my children to help and care because they love me-not because it is the law. At our monthly Palliative Care Resources Committee meetings we have been doing a number of Cultural presentations. The interesting theme--caring for the elderly. On the other hand, I used to work home health where we were appalled by the disinterest of a son & daughter in their "sweet" elderly mom & dad's plight--until we learned that mom was a madam, dad ran the whore house, and the kids had been abused their whole lives. It's easy to judge others without knowing the whole story. But we still leave a lot of elders on their own int this country who I think don't deserve the "cold shoulder"
This is going to sound awful, but it's true. I am SO HAPPY that both my parents are dead. My childhood was a disaster of abuse and neglect. However, if they were alive, I would go ballistic if I were sent a bill for their care. It would make me sick. There are plenty of elders I had--kind neighbors, aunts and uncles--whose care I would happily contribute to. Not my parents'. I paid dearly for them already. The Anon user above makes a good point, which ties into a comment earlier about "legalizing morality." It is tricky, arguably paternalistic, when law is based on subjective perspective on "what should be done." I concur with Alex Smith. Incentivize people to care, or "do the right thing" if you would think of it that way. Regardless of moral stance, everybody responds to incentives. As an addendum, I would also point out the stark cultural differences between China and the US. Twenty years ago, this law would not have been necessary in China. Perhaps, now post-economical boom and exodus of workers from the countryside to 1st and 2nd tier cities, children leaving their aging parents for far away places is becoming a more present issue. Whether legislation is the right way to address this, however, is still unclear. In a country like China with powerful, even unquestioned, rule of law, it may be more effective than here in the US. As a filial country, I understand why China makes it illegal not to care. 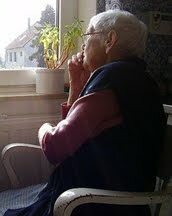 Elder abuse is one of the reoccurring crimes today. Inspite the warnings and enacted laws, there are still some who commit this especially in California. Elder abuse California authorities are strictly looking at this.